Monday again already?! How do the weekends always fly by so fast? I had a fun weekend despite being on crutches and moving a lot slower than I would have liked but I got to hang out outside a ton and that always makes for a good weekend. Especially when the weather is as beautiful as it was. Recently I've made a few fun Amazon purchases that I just had to share with you guys so today is all about my favorite Amazon finds. 1 // If you haven't seen the ever so popular Cult Gaia bamboo bags, you might be living under a rock. It seems like every other Instagram picture has one and while I think they are super cute, I wasn't about to spend $190 on one so when I found this amazing dupe on Amazon for $40, I figured why not? It's the perfect spring, summer bag and I love the size. 2 // The Skinny Confidential is one of my favorite blogs and Lauryn has the most amazing skin (among other things) so whenever she recommends something, I jump on it. She drinks these collagen peptides every day and I can honestly say I've noticed a difference since I started as well. I mix it every morning with water and lemon. 3 // B recommended this primer a few weeks ago so I decided to give it a try with my most recent Amazon Prime order and it is seriously amazing. I have oily skin and this is perfect to help keep my makeup in place all day and keep my skin shine free. 4 // Years ago I got lasik eye surgery and I've been SO happy with the results. Since I spent a lot of money getting my eyesight perfect, I try to do everything I can to keep it that way so after chatting with Kerri about it, I decided to pick up some blue light filter glasses and they work so great! 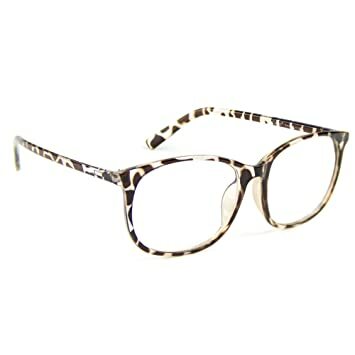 I never thought I'd actually want to wear glasses again after getting rid of mine but these are cute and help keep my eyes from straining so win/win. 5 // Have you ever put your face over a pot of boiling water before doing an at home facial to help open up your pores? Yeah, me too, but I feel like that isn't overly safe. So when I saw this facial steamer I decided to give it a try. It works great and combined with my GloPro I feel like I'm getting spa ready skin at home and what's not to love about that? Everything you got looks so useful. The bamboo bags are so cute, and totally in style. This is such a fun post! I want to try that primer- I need a new one! Those bamboo bags are a steal!! I always love to see what people find on Amazon! 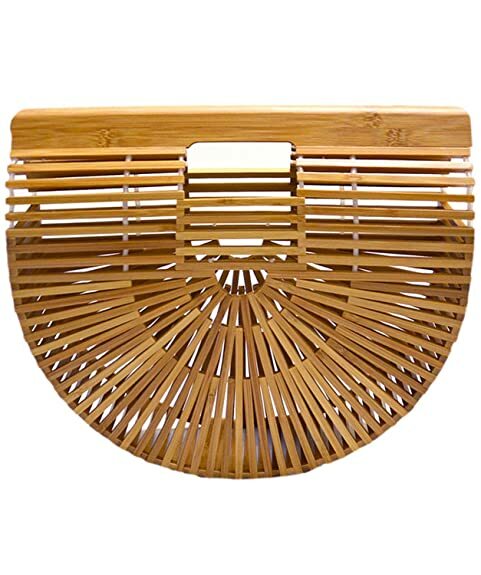 That bamboo bag is a steal! I live off collagen, but I buy the neocell from amazon. It works wonders! I need a facial steamer, mine broke last year :( This one looks great! I have those glasses and primer and love both! Such good buys! I've been using collagen for a few years and it's the BEST for good skin. I need a steam machine. I can’t believe you found an affordable dupe for those purses - yay! So cute. I’m totally getting that facial steamer, too. Gotta love amazon! glad you got some blue light glasses! i have mine glued to my head at work ha. i may even get a pair for at home since these script babies need to stay here. also that's a steal for that first bag - great dupe! i'd def not spend $200 on the OG. ha. happy monday girl! I totally want to give a facial steamer a try, they seem so neat and convenient to do at home. I am dyingggg for Lasik eye surgery but my eyes still change every 6 months so they said I need to wait until they are completely done changing ugh! Those glasses are so cute! I love a good Amazon round up! I swear by the Collagen Peptides and I need to just get that bag already. Now the facial steamer is in my cart, too! Awesome little roundup! Thanks for sharing! I think I have some purchases to make! I have only heard good things about that supplement, and I was just thinking that I need something for my oily skin, and that primer sounds perfect! Between you and Biana, you both have convinced me of it! And to just add on another purchase, I am excited to hear that those glasses actually work. I am wearing those glasses as we speak, they are the best and now I have the whole office wearing them! I need to try the primer! I've heard such food things about vital proteins collagen. I want to try it now! Those glasses are so cute, and I totally wear them if I just needed to use them a little. I also love that purse! It’s perfect for summer! SO many goodies!! That Cult Gaia dupe is seriously ADORABLE! I might need to purchase!